First, thank you for being a member of Dakota Plains Federal Credit Union. Also, thank you for visiting our new online home. Aside from being a mere website, we like to think dakotaplainsfcu.org is your digital branch. 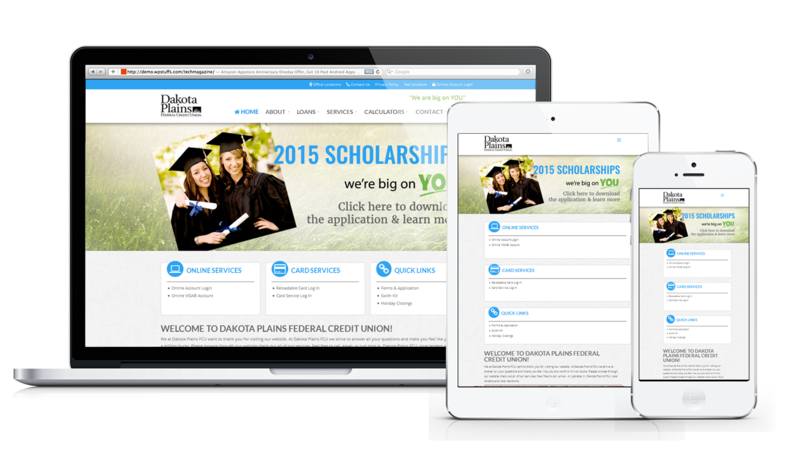 Here you can find helpful links, informational resources, up to date policy information, and the means to contact Dakota Plains FCU. Aside from the fresh new look, we hope you find the new website even more user friendly, simple, and organized. There are many new features to be excited about, which we want to share with you. MOBILE FRIENDLY: We know many visitors are using mobile phones to access their banking. That’s why the new website is completely mobile phone and tablet friendly! The layout and content of each page scales and optimizes according to the visitor’s device, making the new DPFCU website easier to use than ever. DESIGN: We hope the clean layouts, friendly feel, and prairie inspired design elements evoke the spirit of the region and our service. Subtle textures and a pleasing color palette also add to the sense of calm and ease. Modern icons have been used across the site to signal links and resources. The home page features an expansive high resolution sliding image area to share our latest offerings and announcements. SIMPLIFIED MENU STRUCTURE: The main menu has been dramatically simplified, bringing you the same breadth of information with half the amount of clicking around.  QUICK LINKS: Right at the top of the home page, there are three “quick links” boxes containing links to the most commonly utilized resources. Quickly and conveniently access Online Services, Card Services, forms, applications, and more! These same quick links appear in the sidebar area in different areas across the site. RESOURCE BAR & LOCATIONS: At the bottom of every page there is an additional resource bar and information for each of the branches. The resource bar contains links to Recent News, Contact Info, Missing Card info, and ATM Locations. The branch information contains the address, phone, and fax info for each of our five branches. IMPROVED CALCULATORS: Your financial goals are important to us! That is why we offer a dedicated financial calculators page featuring 8 helpful calculators. ENHANCED CONTACT INFO: We want to hear from you! The new contact page features an updated map, a contact form, and detailed branch information. As you explore the site, please let us know what you think. Remember, We’re Big on You, and it’s your feedback that allows us to constantly improve.